Named after Sir Ferdinando Gorges, Fort Gorges was built 1858-1864 by Ruben Smart and is modeled after Fort Sumter in Charleston, South Carolina. Fort Gorges was planned and constructed as one of three forts in Portland Harbor in reaction to the threat of foreign naval powers, initially provoked by the War of 1812. 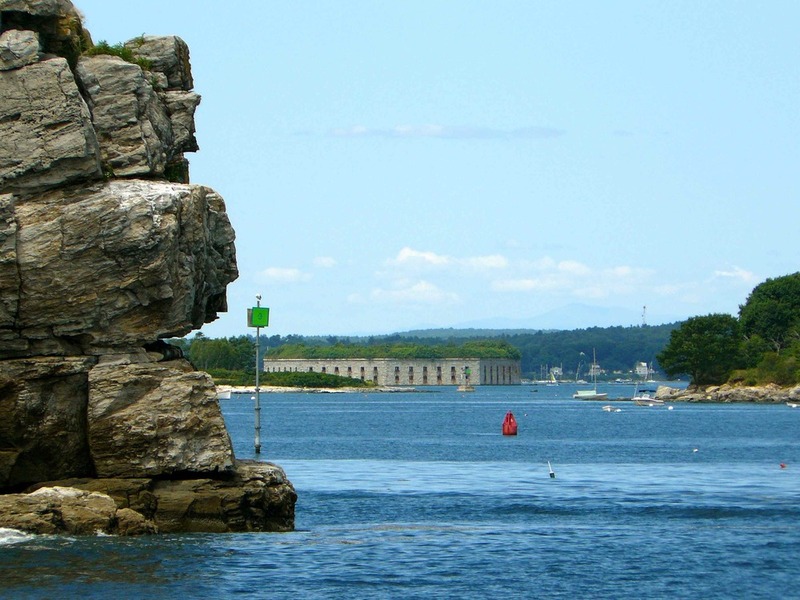 It is a D-shaped, two-story, enclosed fortress, constructed entirely with local granite, and hosted 56 gun emplacements on the south, east, and west facades. 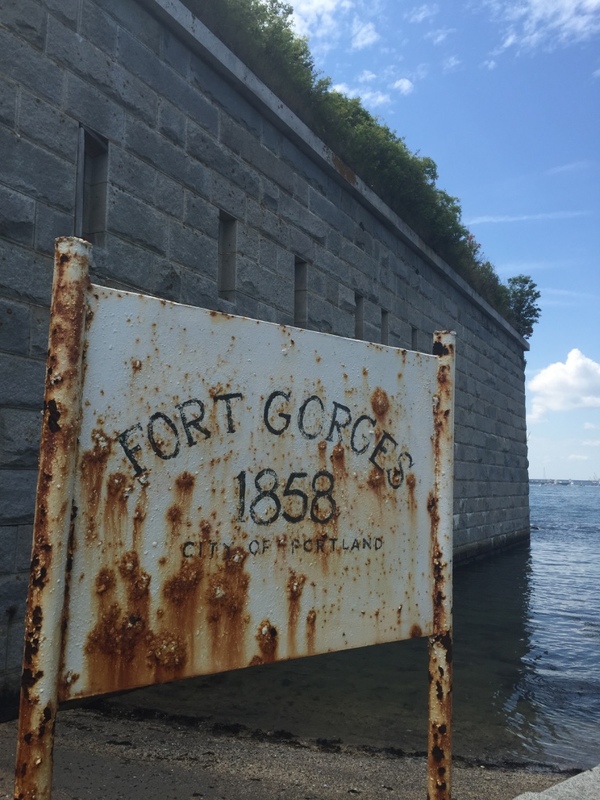 When completed in 1864, Fort Gorges was already deemed obsolete due to technological advancements in rifled artillery and high-explosive ammunition developed during the Civil War. Fort Gorges hosted a live-in caretaker after the Civil War, and acted as a storage facility in both World War I and World War II. Declared surplus property in 1960, the United States government conveyed Fort Gorges to the city of Portland, which continues to own the property today. Fort Gorges has become overgrown with vegetation and shows signs of masonry deterioration. Lack of maintenance and investment in masonry repair, lack of a long-term preservation plan, and its location in a harsh marine environment battered by wind and weather continue to compromise the structural integrity of the brick and granite masonry. 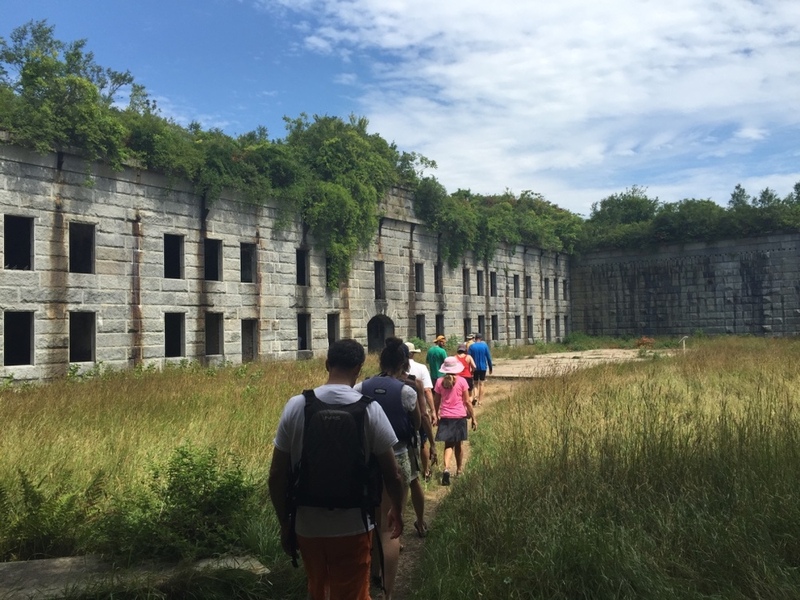 The Friends of Fort Gorges group is actively building awareness and raising funds to preserve the fort, but the scale, lack of access, and large financial needs of the fort create tremendous challenges to its preservation. 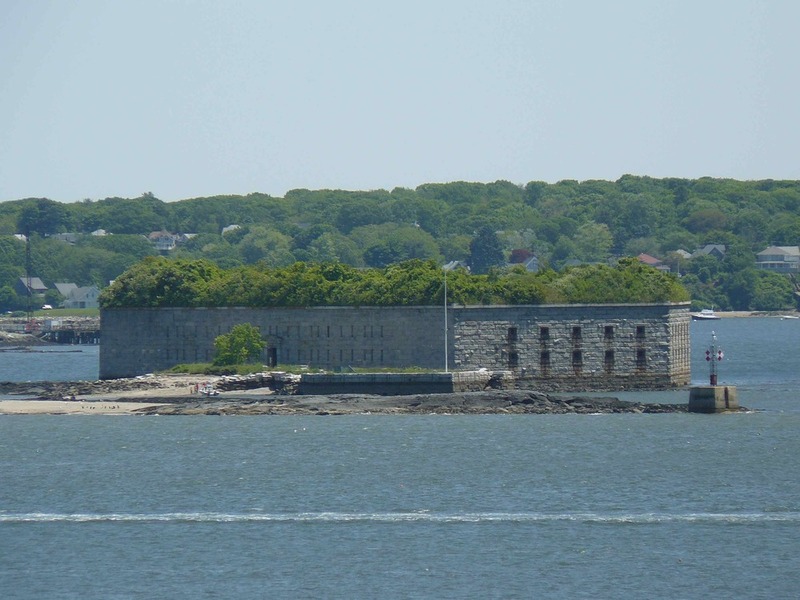 Fort Gorges is an excellent example of an early to mid 19th century military facility and engineering achievement that typifies the technology of that era. It was placed on the National Register of Historic Places in 1973 for its military and engineering significance and is recognized as a city of Portland local landmark. Due to its deteriorating condition and lack of planning for its preservation Landmarks named the fort to its Places in Peril list in 2013. 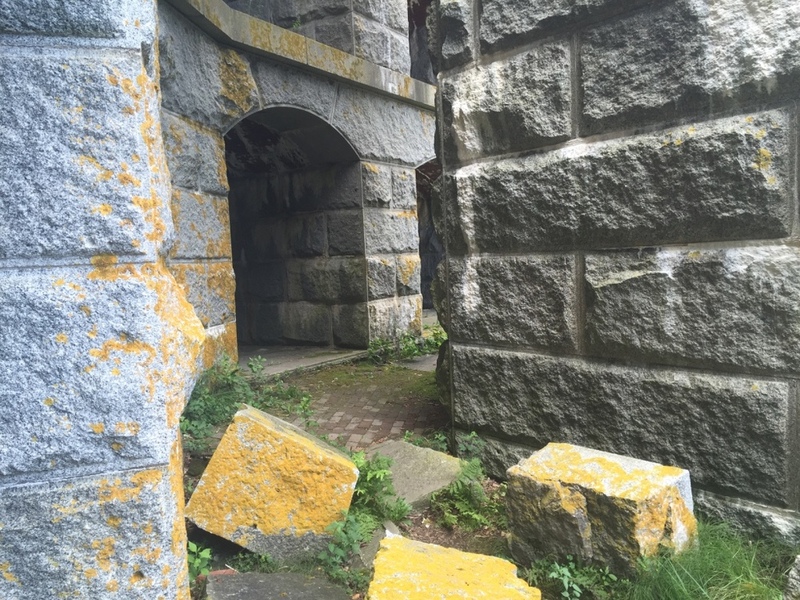 Landmarks supports the partnership of the Friends of Fort Gorges and the City of Portland to develop a master plan to preserve and maintain the fort. 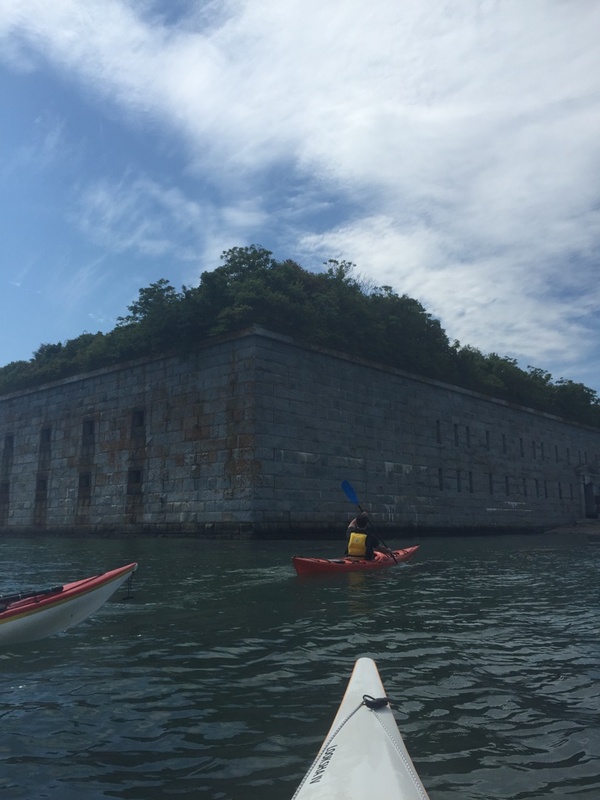 Fort Gorges’ dramatic site at the center of Portland Harbor, its unique architectural form and history offer opportunities to create partnerships between the city and tour operators (kayaks, harbor tours, etc.) to increase access to the island and provide educational programs. Support Landmarks' advocacy efforts and our Places in Peril program by making a donation or becoming a member today. Sign up to receive advocacy updates and stay informed about our educational programs and upcoming events!